We had a lot of amazing experiences in Europe. Memories we will cherish the rest of our lives. 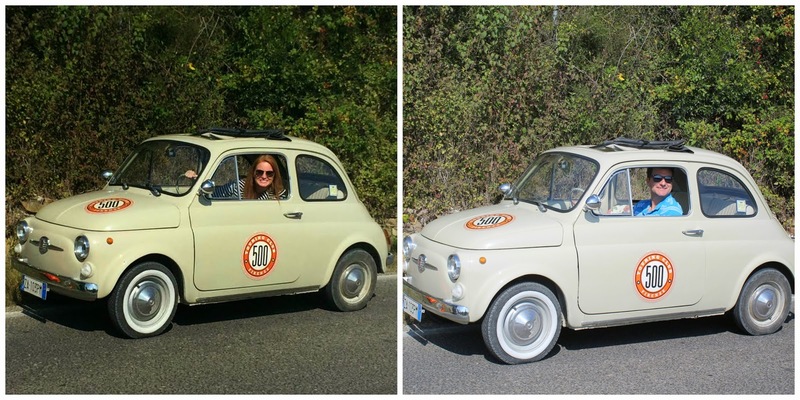 One day stood out above all others; a Self-Drive Vintage Fiat 500 Tour from Florence. 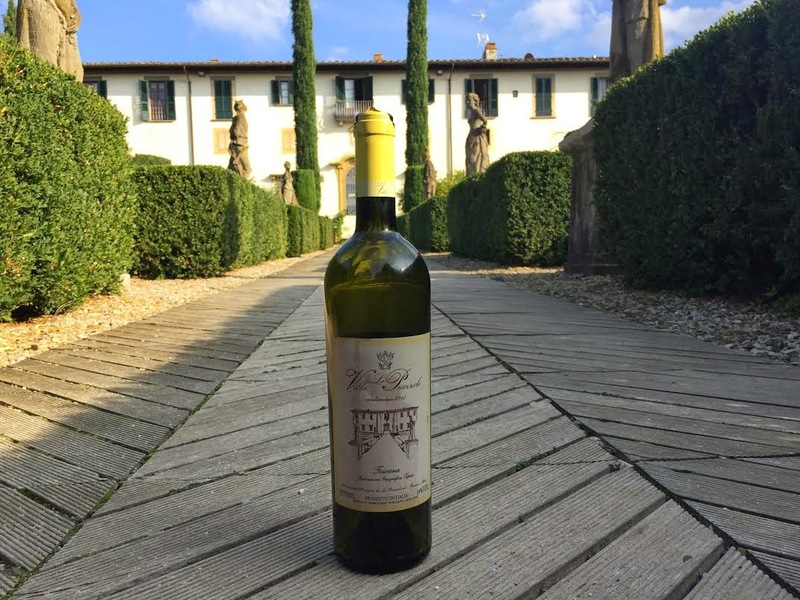 This was one of the first adventures we purchased in advance and got a free upgrade from the wine tasting to a wine making with a picnic lunch. 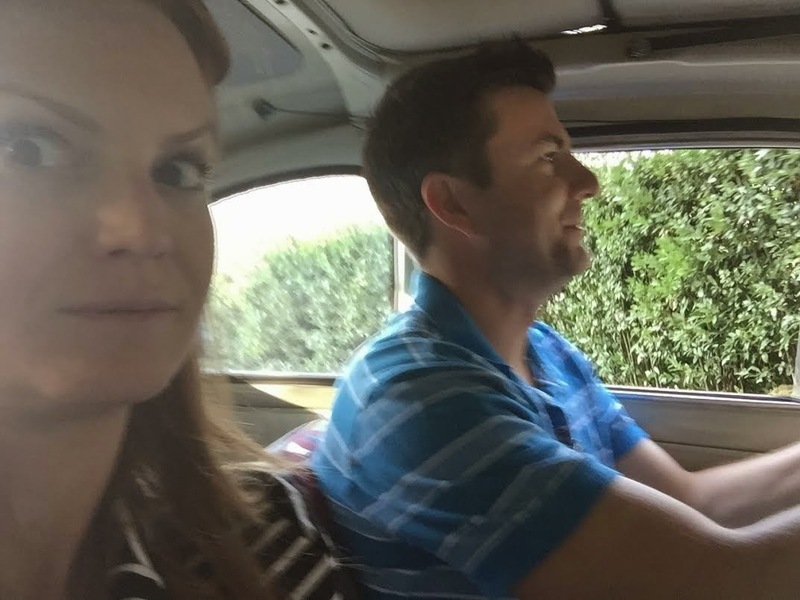 Gabe asked for two things when we planned the honeymoon and driving a Fiat in Italy was one of them. 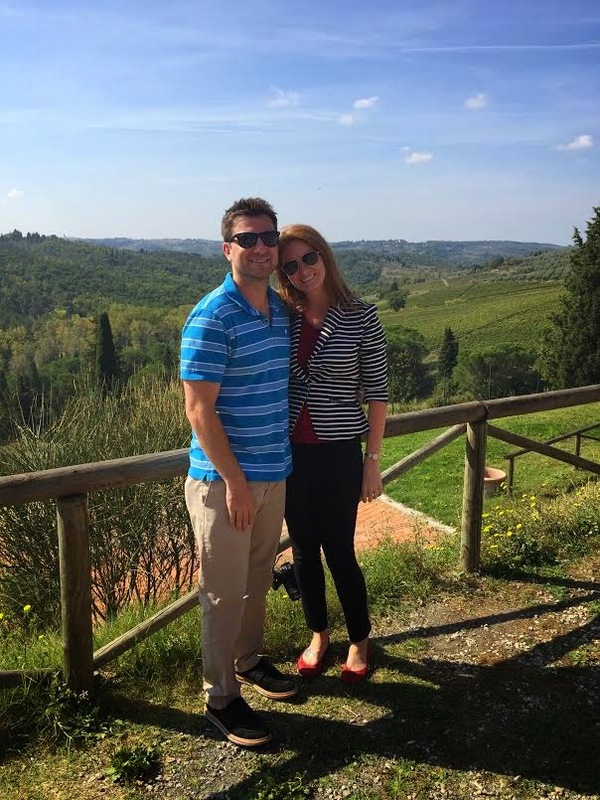 While in Italy, I really wanted to go visit Wine Country so this was a win win situation for the both of us. We arrived at our destination and was introduced to our car. After Gabe received a tutorial on how to drive a double clutch, we headed out to the Tuscan Hills, following 8 other Mini Fiats. Friends, this was hilarious and breathtaking at the same time. With our sunroof open, blaring Italian music from the 60's on a perfect day, what more can you ask for? I loved that we were on a tour, yet on our own for a duration of the trip. We laughed so much, watching multiple people stall their cars. Luckily, we didn't have this issue towards the end of the trip. We passed through multiple villages and saw the true beauty of the Tuscan countryside. We even saw a few castles! After driving for two hours, we headed towards the Villa where we all met. 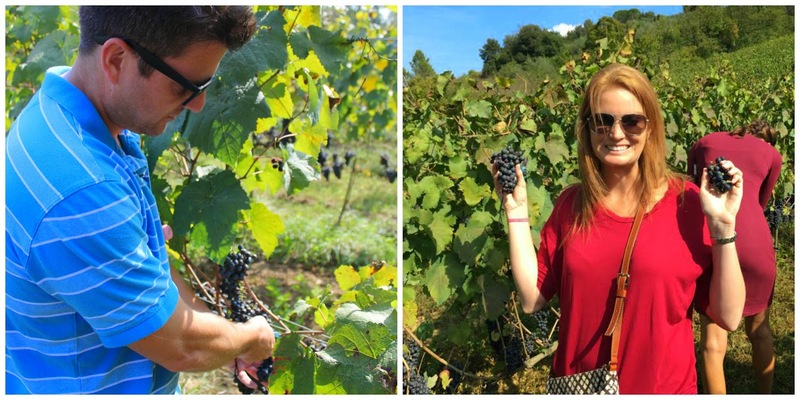 Before we headed to lunch, we picked some grapes for harvest. We timed this adventure perfect, as the following day was harvest day and there were grapes everywhere. One day later, this photo would not have happened. I was excited to learn we would be harvesting Cabernet. We even tried a few grapes right off the vine. After we collected two huge buckets of grapes, it was time to head towards the villa. A picnic lunch and wine were in our near future!! The villa was breathtaking. Exactly what I imagined. Next time we go to Florence (there will be a next), I insist we stay some time in the countryside. We had an Italian picnic consisting o pasta, meats, cheeses, salad and pate. We tried 5 different kinds of wine. After lunch, it was time to go to work! Actually, we learned how wine was made and a few of us got to stomp grapes. Wrapping up, I noticed that the wine bottle matched the villa and I had to take one last photo. As mentioned above, this was the best day of our honeymoon. It was fun and super relaxing. After days of go go go go go, this was much needed. 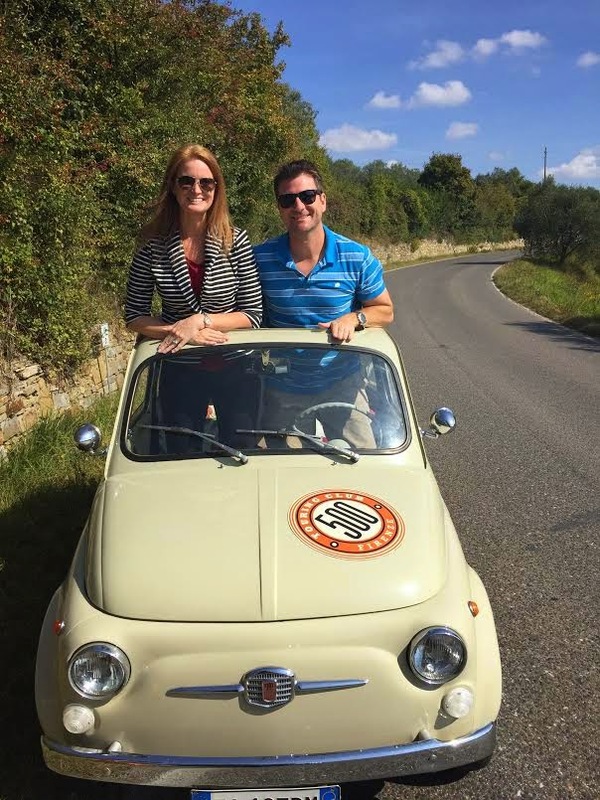 If you find yourself in Florence, I strongly suggest doing a Fiat 500 driving tour. This is too funny! I feel like my legs would not fit in that bad boy! So glad you guys had such an amazing time! They are actually much bigger on the inside than you would imagine! I am 5'10" and was very concerned I wouldn't fit in the car. You sit pretty low to the ground. There was another family there from Australia, where every person in the party was over 6' and 3 people fit in their car! We were laughing, it was a true clown car!